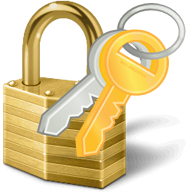 The Virtual Key (a DigitalEffex company) provides SSL certificates in Pensacola. SSL are very important for creating a secure connection between a customer’s web browser and the server of the company they’re interacting with. SSL is essential for any site that sells goods or services as it ensures that all information handled stays private and secure.